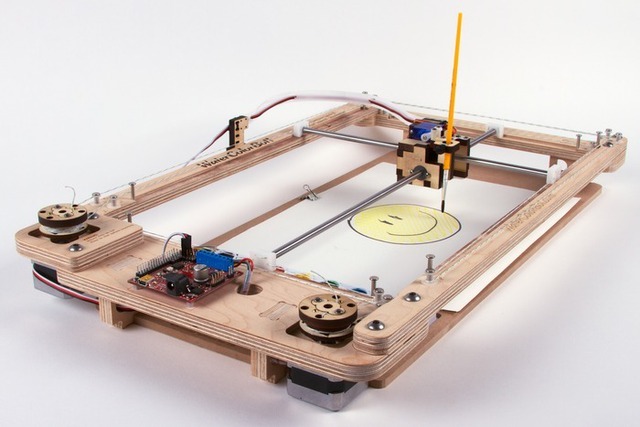 The WaterColorBot is a robot created by 12-year-old Sylvia Todd and Evil Mad Scientist Laboratories that creates physical watercolor paintings using digital vector artwork. The robot can create virtually identical paintings from the same digital file, and aims to make both art and technology fun for kids. The project is currently seeking funding on Kickstarter.